We can correct your paint blemishes such as swirls, acid rain, over-spray, water spots, tree sap, and micro-scratches, utilizing our 7-step Total Enhancement & Protection Package service. 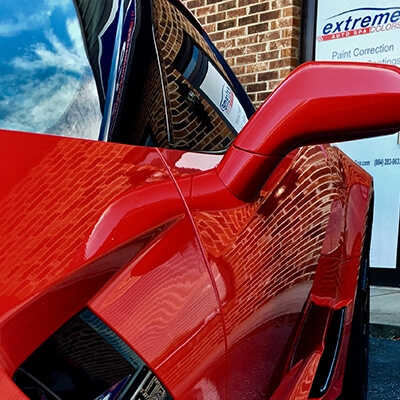 Extreme Colors offers paint correction, glossification, paint protection, ceramic coating, and window tinting. One of the company’s specialties is its “clear bra” protection, which protects the paint on cars and keeps them looking new. We are The Paint Protection Experts, providing unparalleled customer service to our Upstate car enthusiast! Not everyone has the same needs, so at Extreme Colors Auto Spa, we know it’s vitally important to properly communicate with each customer. Communication is the key to ensuring that every customer is matched with the exact service that he or she needs; which provides each of our awesome customers with maximum benefits. We can correct your paint blemishes such as swirls, acid rain, over-spray, water spots, tree sap, and micro-scratches, utilizing our 7-step Total Enhancement & Protection Package service. We can protect your car or truck's paint with Xpel Ultimate Paint Protection Film, which is a virtually invisible 8 mil thick thermoplastic vinyl (clear bra) that we install to high-impact areas, on your car or truck, that are vulnerable to rock chips, bug acid, and damaging road debris. We can protect your entire vehicle with Ceramic Pro, which is a permanent protective coating, that makes your paint look and feel like glass, while resisting contaminants. This coating is similar to a Teflon coating. 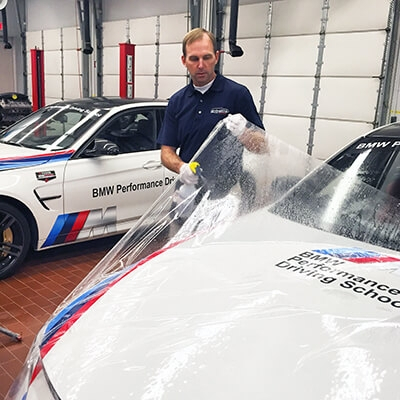 We are Xpel, 3M, & Ceramic Pro Certified and the Official Paint Protectors for BMW Mfg/PC. 100% Recommend! I brought in my new 2018 Ford Explorer, I will never own another vehicle that wont go directly to Extreme Colors Auto Spa. I got the cross country clear bra package, ceramic window tint, and the 5yr ceramic coating. Don't be discouraged that they wont give your daily driver some TLC, they don't just do race cars; they do a variety of all cars. The staff is excellent, and very friendly. I have been burned by so many local services. Not this one. I cant wait to see how my explorer holds up for years to come. I dont have any doubts, I believe it will stay beautiful. May even be taking my motorcycle to see them. Doug and the gang have the best customer service of any organization I’ve ever worked with. Amazing eye for detail and meticulous work to get the job right first time. I have had all my cars for last 4 years protected and detailed by Extreme Color. This includes paint correction, custom wraps, window tinting and ceramic coatings. I can’t recommend them highly enough. Doug, Cam, and their Team left a great impression on my experience with my M3. The repainted front bumper looks brand new and the Bronze package exceeded my expectations. They really care about their customers and I was never rushed during the process, whether it was from getting an estimate and talking cars all the way down to picking mine up. They showed my 6 year old Son around the shop too, which made his day! 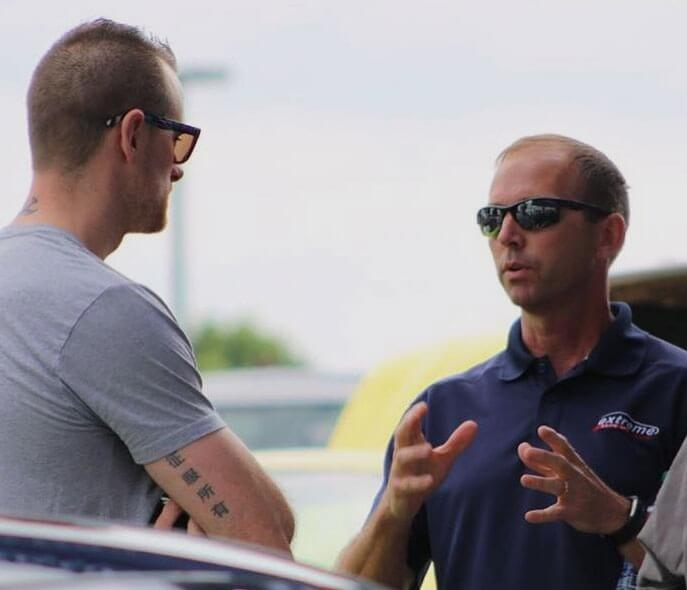 A great company with a passion for cars as well as customer service! Thank you again! Too bad there’s not an option for 6 stars! Doug and his team are consummate professionals. From the quoting process to the vehicle delivery, this was a great experience. They truly understand the car enthusiast and have certainly earned my trust and future business. I have owned 10+ black cars and now I can finally enjoy one of them! Had my '17 M2 covered in xpel with the highway package + rockers+ rear panels and couldn't be happier with the service and install. Doug and Cam were both awesome guys to work with and found myself chit chatting with these guys like they were friends. Doug cares so much about his customers and is one of the best I've worked with in the service industry. I had additional winglets on my M2 that they had to go above and beyond to install but never gave meany trouble about them! Truly wish these guys were back in Ohio for me to utilize even more! Thanks guys! 5* business! I took the Black Beauty, my 1969 pro-touring Camaro to the guys at Extreme Colors to see about making her look even more amazing than she already did. They did a paint correction and a ceramic coating and if you go to their site you’ll see her looking like glass. They were amazing to work with and the results I am extremely pleased with. Thank you guys!